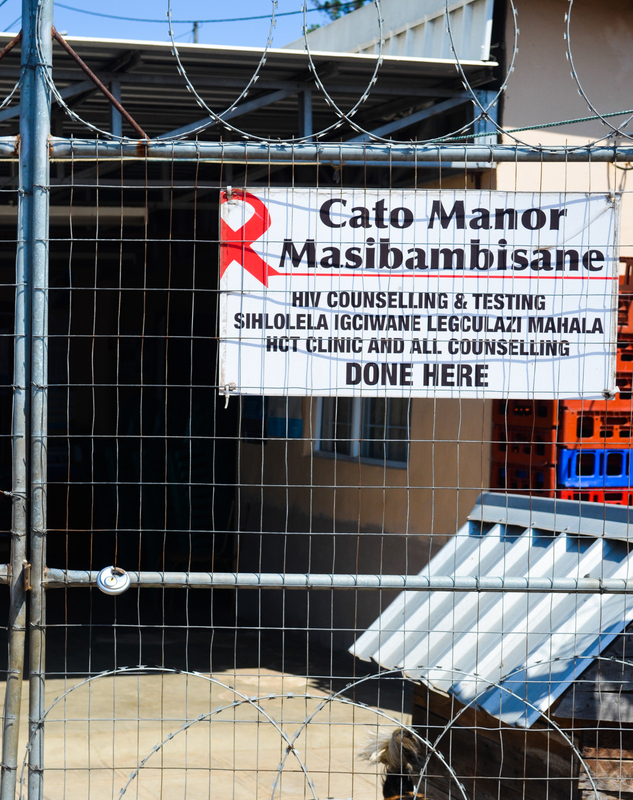 During a typical week at Masibambisane Centre in Cato Manor, you might witness support groups for HIV positive community members, gardening projects, church services, and community members receiving CAST food parcels. But recently, a new group of people from Cato Manor started coming to Masibambisane Centre for assistance: Grade R to Grade 2 learners! It all started with CAST’s Cato Manor Area Coordinator, Lizzie Mkhize, posting a notice on her fence, advertising English classes for young learners. Lizzie had noticed how many young children in her community did not begin to learn English until Grade 4 in the township schools, so she decided to open her own English classes, offered every weekday from 3-6pm. Parents came to ask about bringing their children, and soon after Lizzie had 30 kids ready to learn how to speak and write in English. Because Lizzie has no “kiddie-sized” chairs or tables, the children sit on the floor during class. Oftentimes her learners come with hungry bellies after school, and struggle to concentrate on the lesson. Lizzie takes one day at a time, providing snacks as she can, and patiently teaching English through fun activities and games. In December, Lizzie would like to give a “graduation” for the learners to celebrate their accomplishments. As part of the greater mission of CAST’s Educational Assistance Programme, this new programme in Cato Manor is working to remove obstacles that stand in the way of learner success. If you are interested in this new opportunity there are many ways to get involved through volunteering, providing snacks, donating “kiddie-sized” tables and chairs, or donating educational books and materials. Contact Murry Pieterse at murry@cast.org.za if you are interested. 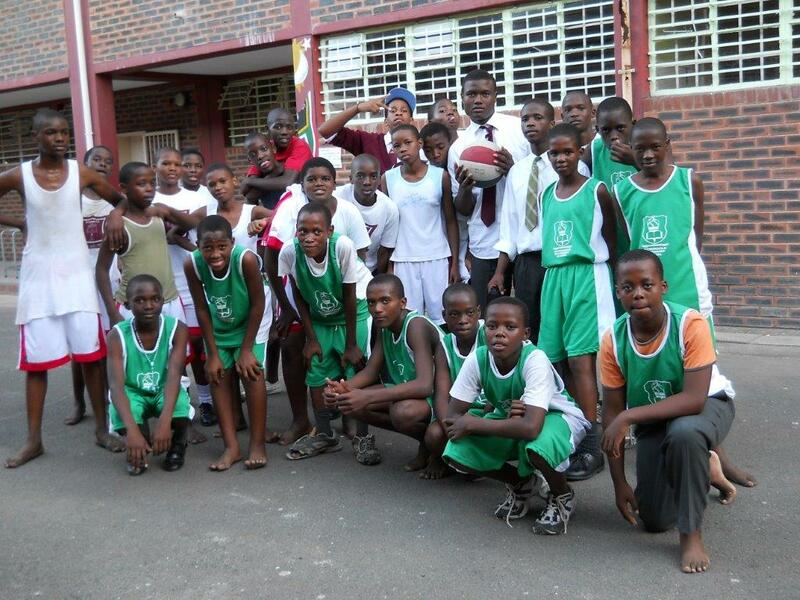 Back in 2010, Banda was skinny and tall, just looking for a place to train in KwaDabeka. He started coming to CAST’s basketball practices with his friend Tukiso and found much more than just a place to shoot hoops. Off the court, Banda also participated in boys2Men Camp, learning more about what a father actually looks like, and how to be there as a parent for your children. By the time Matric rolled around, Banda realized he couldn’t be on the team as much as he would like if he wanted to succeed in school. Banda was determined to do whatever it took to pass. His efforts paid off when Matric results were posted; he scored 4 A’s and missed the fifth A by one percentage point. This same work ethic carried on with Banda as he chose to pursue Maritime Studies at DUT. However financial complications stood in the way to even begin classes. After approaching CAST for assistance, Banda was able to cover his registration fees and begin classes. Determined to find a way to pay for school in the future, he applied for bursaries. 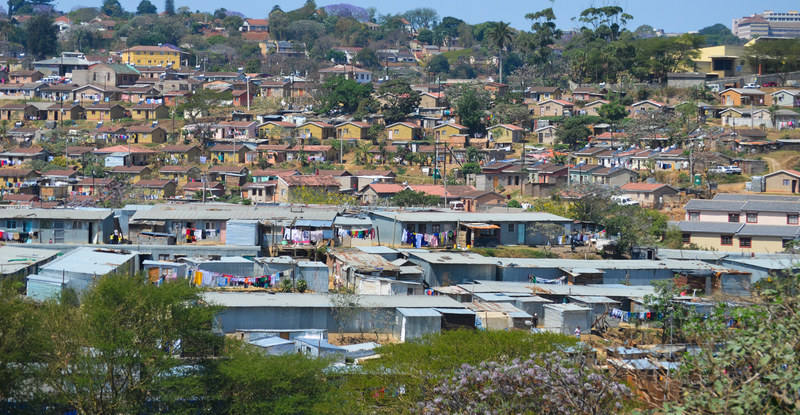 As he battled to cover his expenses, Banda began to feel as though he wouldn’t be able to continue at DUT; he didn’t receive his first semester results because of the outstanding fees. Then finally, Banda’s big break came. 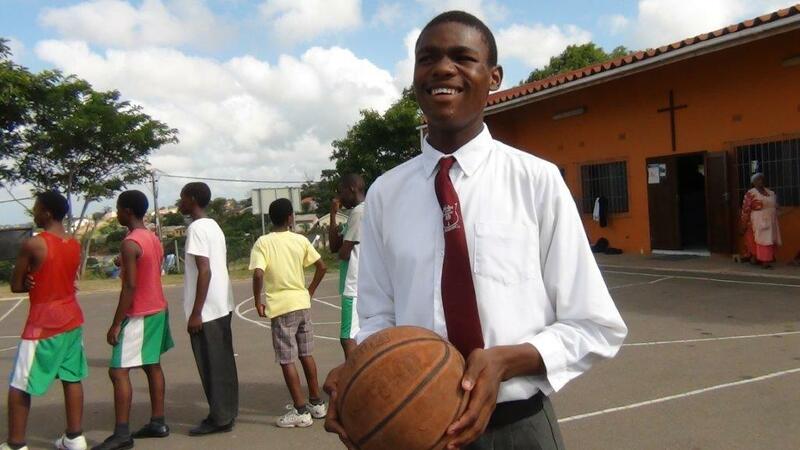 Among five of his peers, Banda was chosen to receive a bursary for the following year’s school fees. In addition, Banda will receive training and employment to help cover some of his remaining school fees from last year. Here at CAST, we believe in empowering willing and aspiring young people like Banda, living in under-resourced communities to realize their dreams and make a difference in their community. This year Banda is not only pursuing his dreams, but also giving back to his community by tutoring high school students involved with CAST’s Programmes in KwaDabeka. If you are interested in supporting a young person like Banda financially, or through mentoring, please contact George Mwaura at george@cast.org.za to find out more about how you can get involved. This week’s blog is a sneak preview of CAST’s guest speaker at the Masked Ball tonight. Enjoy! Lerato Tsosane’s journey to her position as Consulate General for Lesotho began long before she was appointed in 2012. Coming from a media background, Lerato began her career as a young reporter for Lesotho News Agency (LENA) and made her big break when she was promoted to the Current Affairs Department, producing and anchoring a show featuring debates between high profile political figures. During this period she became popular for her feats on the airwaves, and this period coincided with the 71 day political protests followed by 1998 riots that saw a major turning point in the contemporary politics of the country. It was during her position as a producer and presenter of this show that Lerato’s interest in politics first began. During this time, Lerato was appointed with a group of five other individuals to keep the state radio station in Lesotho up and running. Despite the danger involved, they managed to save the situation. It was because of this experience that Lerato decided to take politics as a second major during her studies at Rhodes University. However, when Lerato lost her younger brother and her father in one week, suddenly, she fell into depression and decided to exit with BJOURN at Rhodes University. Eventually she returned to study at University of the Free State, and went on to graduate with a Master’s degree in Politics. Apart from being on radio, Lerato has traveled extensively with Head of Government and Head of State reporting on official trips. She has been a member of Red Cross Society, and outreach programmes are not new to her. Lerato is The Consul General of the Kingdom of Lesotho based in Durban, and serving the coastal regions of KwaZulu-Natal, Eastern Cape and Western Cape, dealing mostly with issues of trade and Consular matters. Proud of Lesotho’s low crime rate, hard work towards balancing gender equality, and beautiful geographical situation, Lerato is passionate about her country. Make sure to attend CAST’s Masked Ball this evening to hear more about Lerato and her incredible story! So Valentine’s Day is right around the corner. Teddy bears, hearts, and sweets suffocate you the second you walk into Spar, reminding you of how your impending doom is coming. But you don’t want to do the same-old, boring Valentine’s routine of nice flowers and a dinner. If this sounds like you, CAST has a solution! 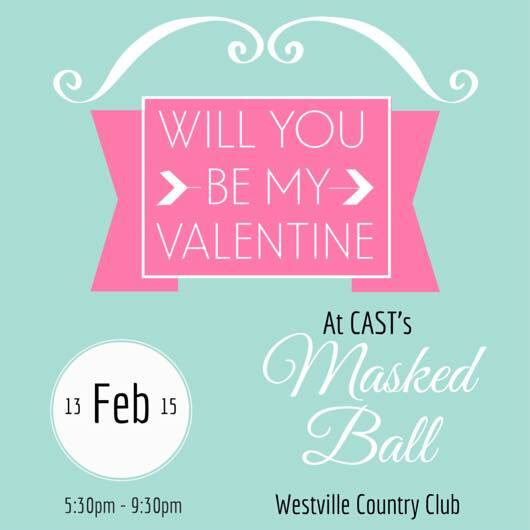 On Friday evening, 13 Feb 2015, there will be a CAST Masked Ball Fundraising Dinner at Westville Country Club. Not only will there be a 3 course dinner, free masks, auction, live band, and dancing, but also a special guest speaker, Ms. Lerato Tsosane, Consulate General of Lesotho. CAST’s Educational Assistance Programme has proven to be successful in reducing obstacles for learners by providing holistic support. For the last five years, CAST has been providing homework help at Addington Primary through Westville Baptist Church volunteers. 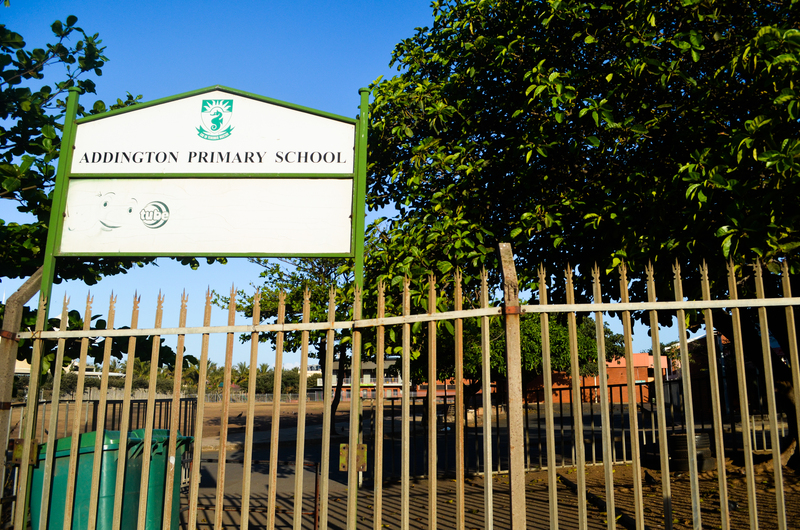 Many of the students at Addington Primary are refugees, and have experienced trauma or are just struggling with the transition to a new country. This programme is based on the Wordworks Literacy Programme material, specifically aimed towards second language English learners at a Grade R and Grade 1 Foundational Phase level. Volunteers are trained to run the programme which uses games, books and other fun tools to assist children in learning. Each child in the programme receives an hour a week of intense one-on-one time with a volunteer. The goal of the programme is to support early language and literacy learning for children, especially those who come from refugee households in our Addington programme. This programme was launched in 2014 for Addington Primary School students. “Give Your Brain a Hand” is intended to provide a creative, therapeutic outlet for the children through arts & crafts, acting, and dancing. CAST believes that this programme meets the holistic needs of students by providing a creative outlet, a safe place to stay after school, and empowering students to believe in themselves. CAST operates a Counselling Centre with a qualified social worker for Addington Primary School students. Students receive free counselling and support to help reduce physical, emotional, and psychological obstacles that stand in the way of pursing education. By empowering students to achieve holistic health and well-being, CAST believes that we can also help students achieve academically. If you want to make a difference in our local community by attending CAST’s Masked Ball, just email Murry at murry@cast.org.za to reserve tickets. The Masked Ball is next Friday, 13 Feb 2015 from 5:30pm-9:30pm at Westville Country Club. Tickets cost R230 per person, and can be purchased this Sunday at Westville Baptist Church or by EFT.